Adjustable Base Jack is used in conjunction with adaptors and is capable of bearing the full loading capability of cuplock when braced fully. All these hollow screw jacks are offered to the clients with an adjustable jack/Head plate and welded base plate. The universal jack provides a technique of jacking which is utilized at the top or bottom of a scaffold structure. Extensively used in conjunction along with socket base, fork heads and drop head adaptors. Adjustable Base Jack is used in conjunction with adaptors and is capable of bearing the full loading capability of cuplock when braced fully. 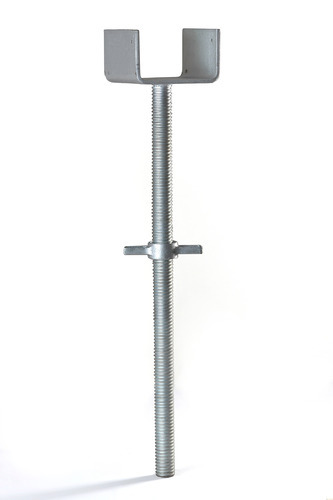 All these hollow screw jacks are offered to the clients with an adjustable jack/Head plate and welded base plate. This universal jack provides a technique of jacking which is utilized at the top or bottom of a scaffold structure. Extensively used in conjunction along with socket base, fork heads and drop head adaptors. 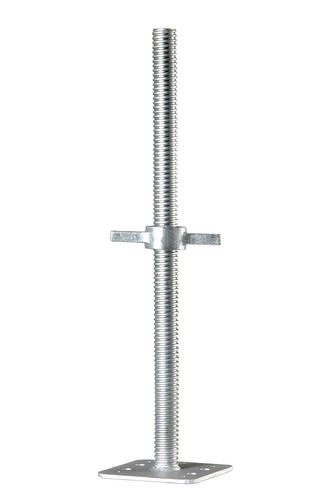 This type of adjustable U-Head Jack is perfect for supporting floor forms and transferring beams. 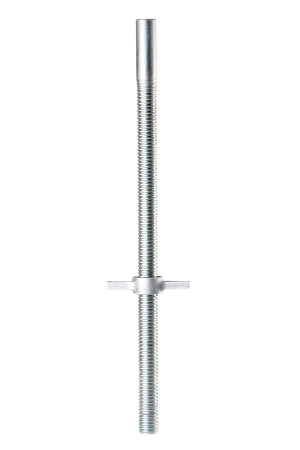 The threaded jacked attached with this jack ensures simple and easy adjustment in floor setting. The chief function of these jacks is to strongly grip timber beams in right position. 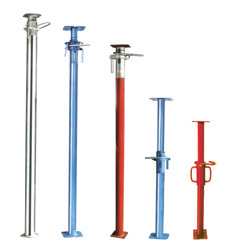 Adjustable Base Jack with round plate is used in conjunction with adaptors and is capable of bearing the full loading capability of cuplock when braced fully. All these hollow screw jacks are offered to the clients with an adjustable jack/Head plate and welded base plate. This Heavy Duty Prop is very flexible and is used industries for manufacturing heavy duty machineries. Top and bottom plates are provided along with nail holes for bolting and wooden runner.  The entire array of heavy duty scaffolding prop is provided with trench struts and swivel head which is pertinent in light shoring.